The Bremerton Patriot is the newest of the six publications of the Kitsap News Group. It has been publishing in the Bremerton area since September 1999. The Bremerton Patriot is a once-weekly community newspaper (published on Friday) whose sole coverage area is the city of Bremerton, Kitsap County's largest city. Because Bremerton is a hub of the Washington State Ferries, the community is considered a gateway to the entire Olympic Peninsula. 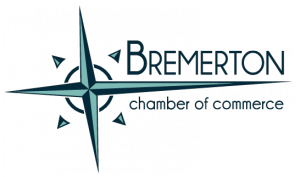 The Bremerton Patriot gives comprehensive coverage to all aspects of life in Bremerton. The editorial staff covers municipal government, the Bremerton School District, the thriving arts and entertainment community, among many other civic beats and reporting responsibilities. The newspaper also gives comprehensive coverage of high school sports and community recreation programs.